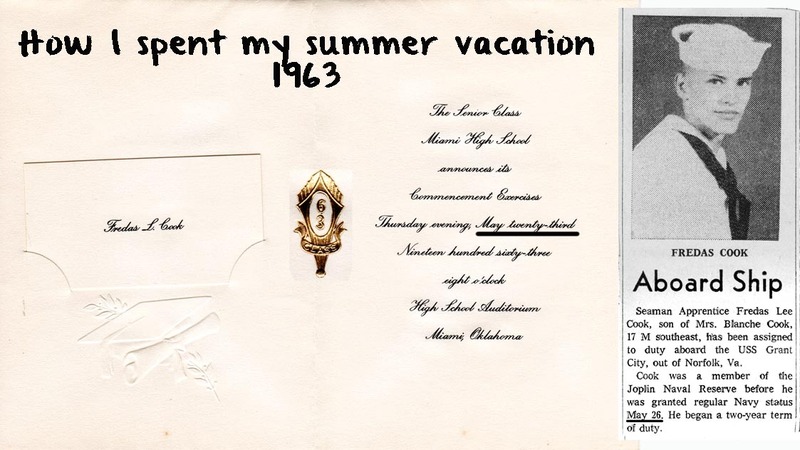 When I quit school in 1962, I joined the Naval Reserve to avoid the draft. I returned to school that fall and graduated. After graduating on Thursday night, I reported to Kansas City the following Monday. Tuesday morning saw me in Washington, D. C. at a receiving station on the Anacostia River.